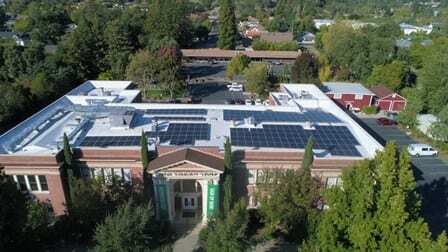 SolarCraft has been selected by the Novato Chamber of Commerce (NCOC) as the inaugural recipient of its Novato Green Business of the Year Award. In business since 1984, SolarCraft celebrates its 26th year providing renewable energy services to the North Bay. SolarCraft offers full-service solar electric, solar pool heating and solar hot water, including consulting, design, sales, installation, monitoring and maintenance. More than 120 chamber members were joined by state Senator Mark Leno, Assemblymember Jared Huffman and Supervisor Judy Arnold at a recent awards ceremony. SolarCraft was certified a “Marin County Green Business” in 2003. The company has been named one of the North Bay Business Journal’s Best Places to Work three consecutive years, encourages employee volunteerism and employs local, skilled professionals. Active among North Bay professional groups with focus on community leadership and development, SolarCraft supports programs such as the Novato Art & Wine Festival, Business Showcase and Marin Home Show, among many other green events. Local causes supported include Safe Grad Night, Novato Human Needs Center, Novato Lacrosse, Boys and Girls Club and Newspapers in Education.